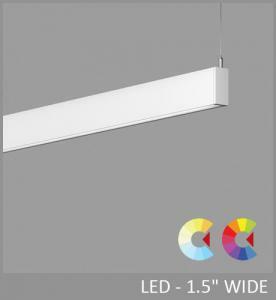 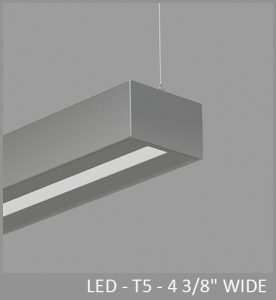 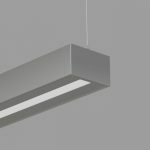 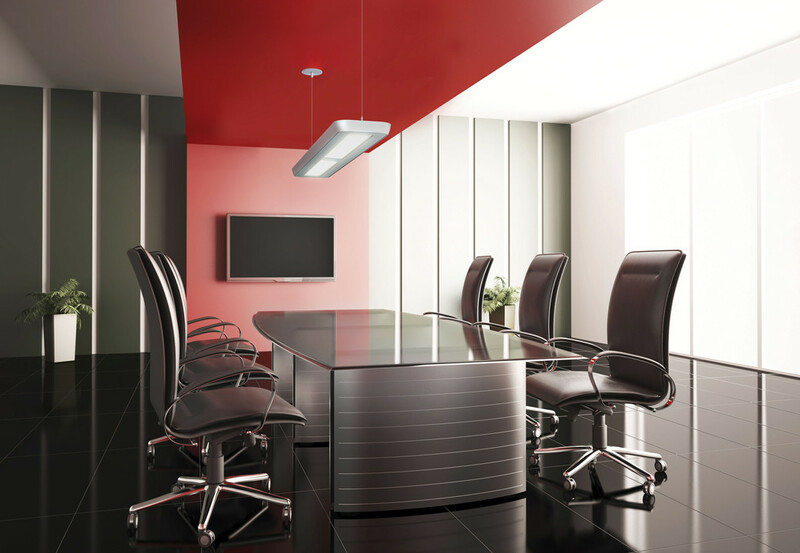 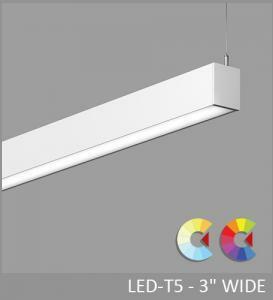 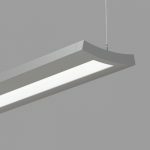 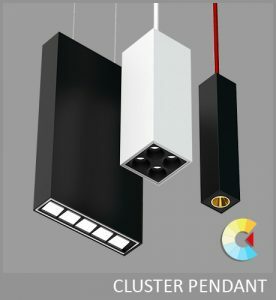 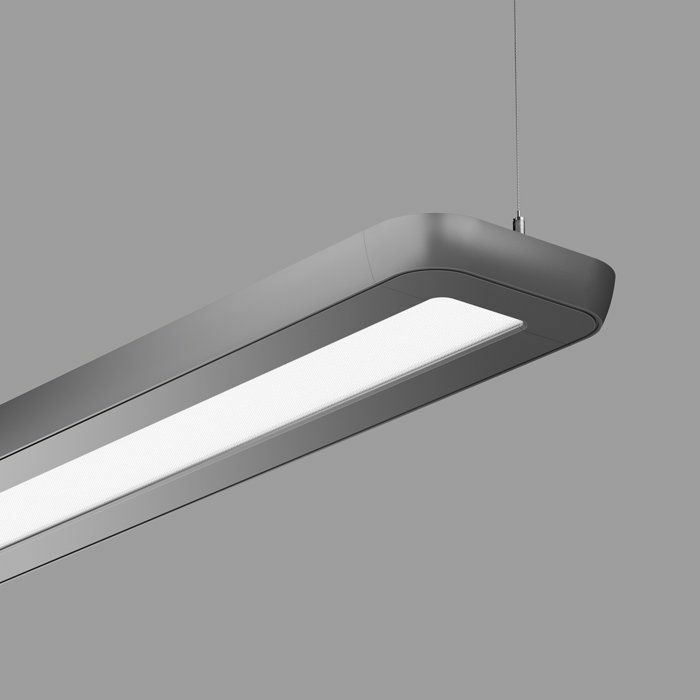 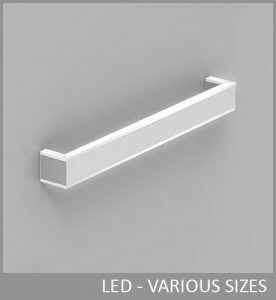 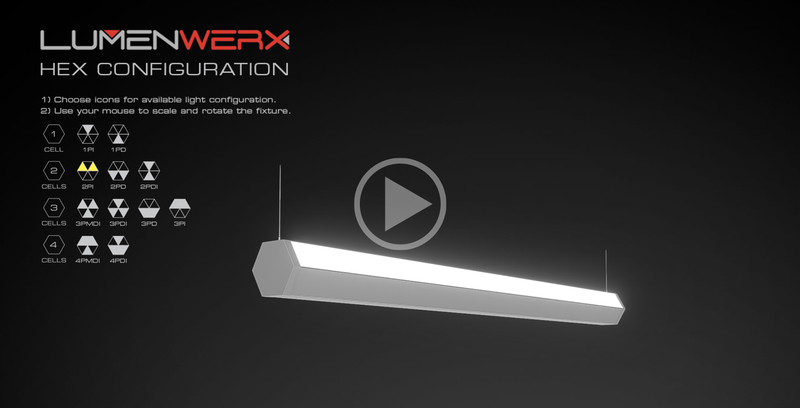 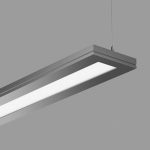 Camber is a linear LED pendant luminaire with a thin, articulated profile. 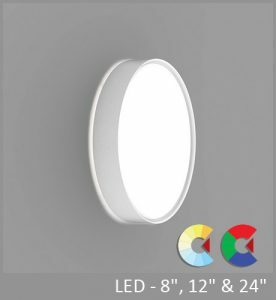 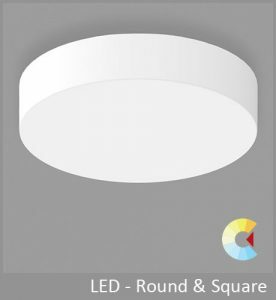 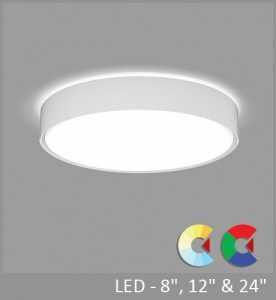 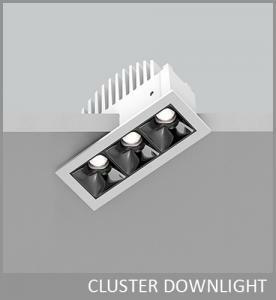 Using advanced LED engines and optical control, Camber provides wide spread uplight and well controlled downlight. 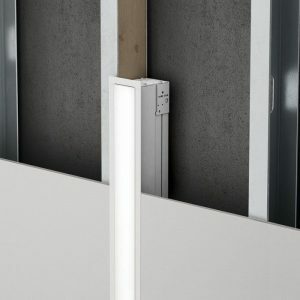 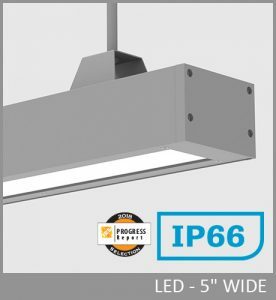 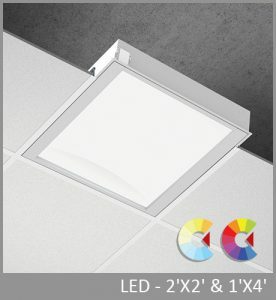 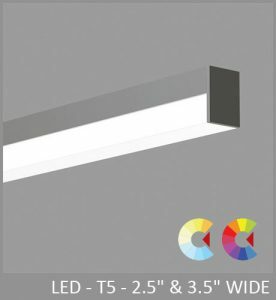 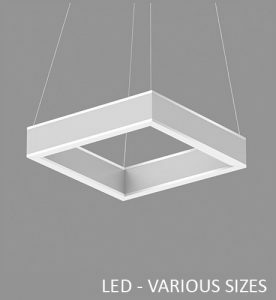 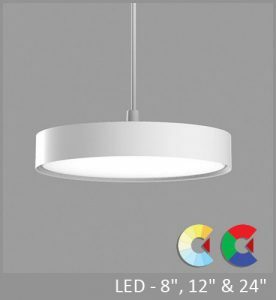 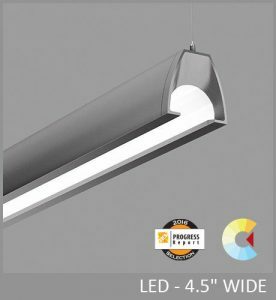 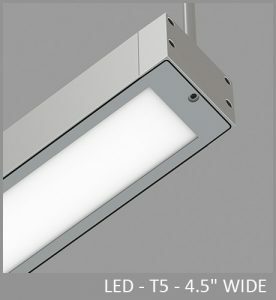 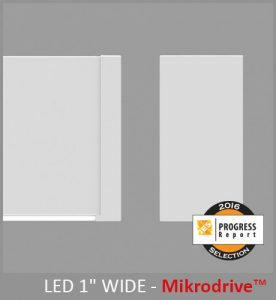 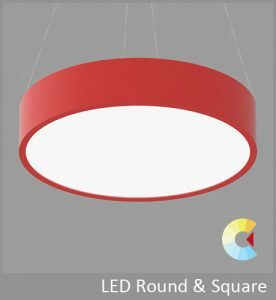 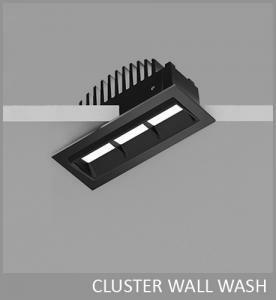 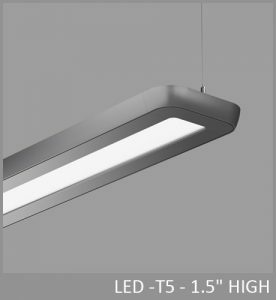 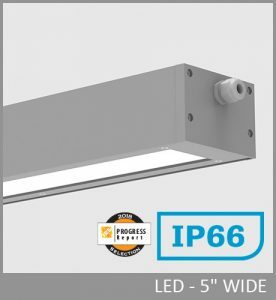 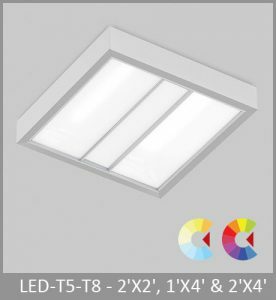 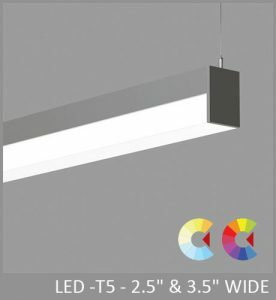 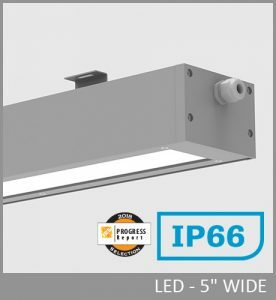 This highly efficient and comfortable illumination is offered in a wide range of light distributions together with comprehensive electrical and controls options. 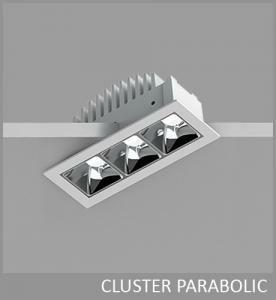 Camber ICL with an Independently Controllable Light output of its indirect and direct components is also available. Camber is also available in T5 & T5HO. 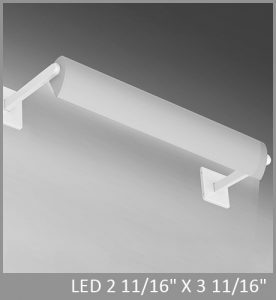 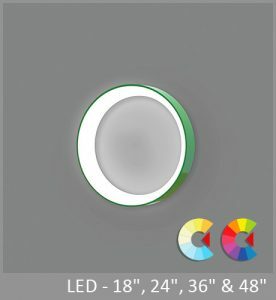 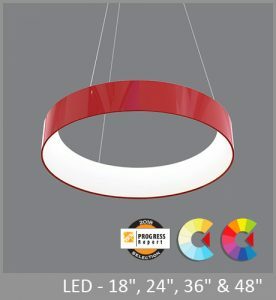 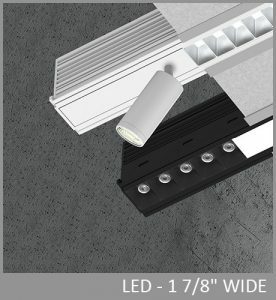 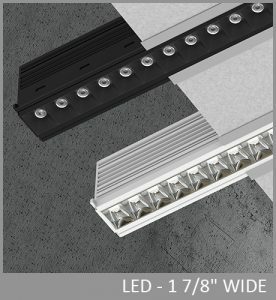 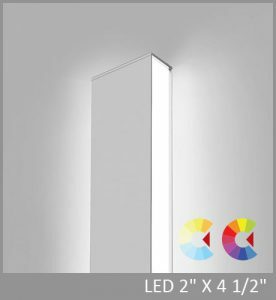 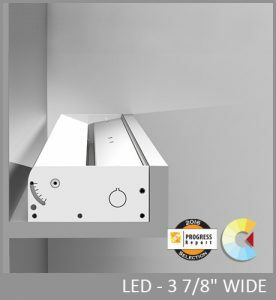 SIZE: 8 21/32" x 1 9/16"
Precision Micro-Prism Optic - Angled LED array with matte aluminum reflectors and Precision Micro-Prism Optic (PMO) shielding of 0.1" thick acrylic. 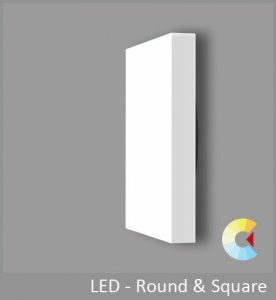 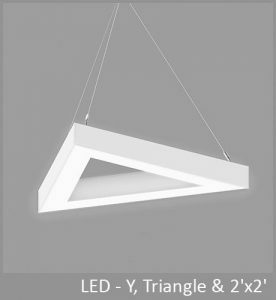 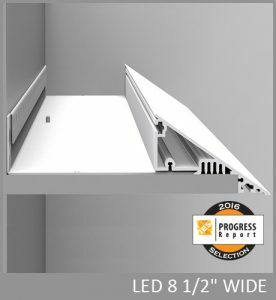 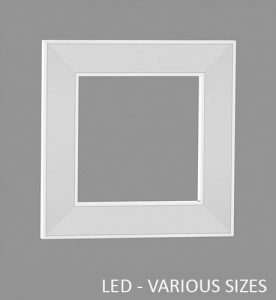 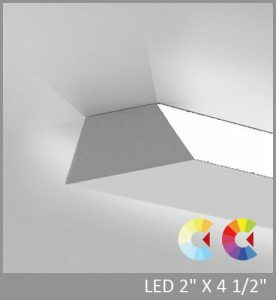 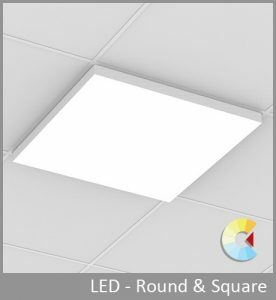 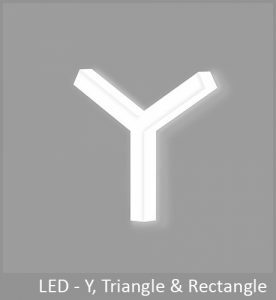 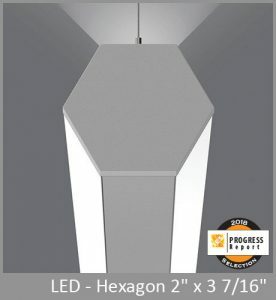 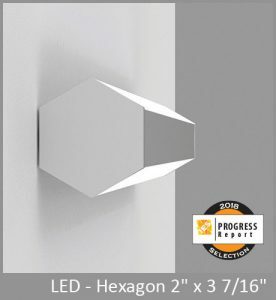 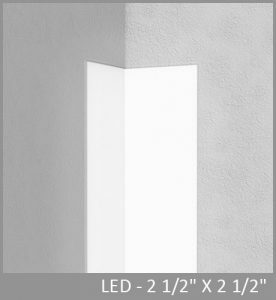 Precisely formed pyramidal prisms with a 0.06" square base provide outstanding control of high-angle brightness. 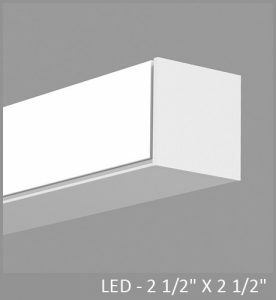 Upper diffuser yields 70/30 indirect/direct distribution. 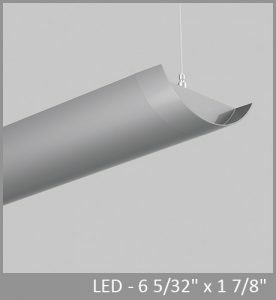 The widespread uplight provides a batwing distribution with peak intensity at 117º and a peak-to-zenith ratio of 2.7:1; shielding from the PMO optic provides 45º optical cut off. 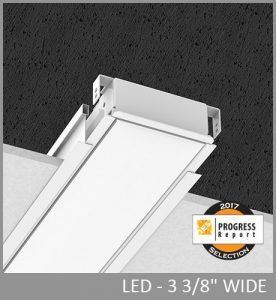 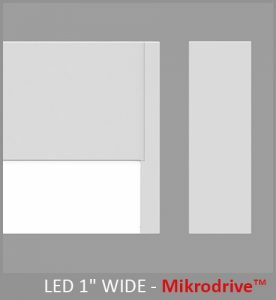 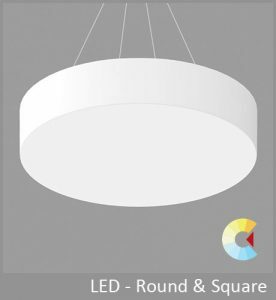 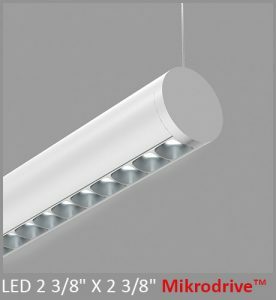 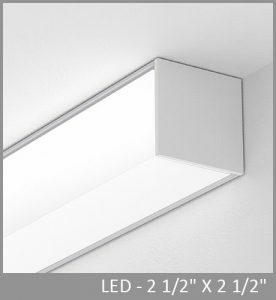 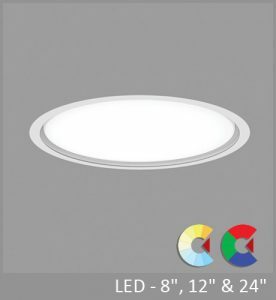 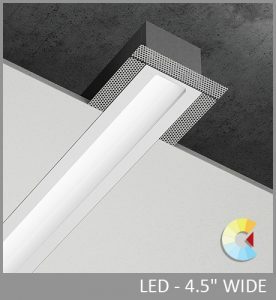 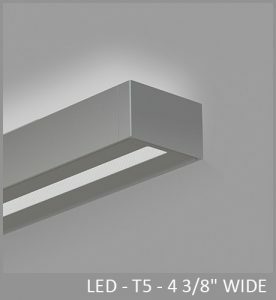 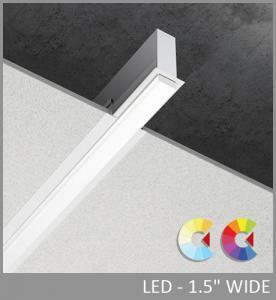 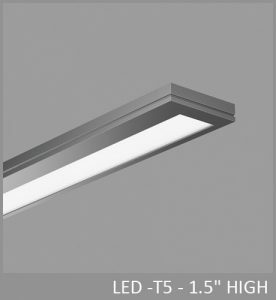 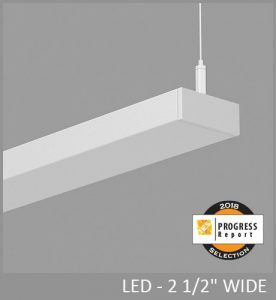 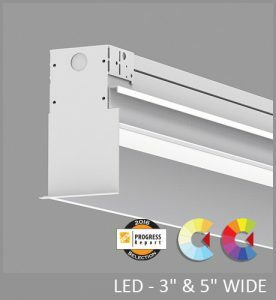 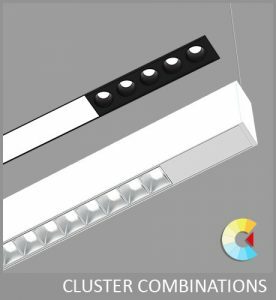 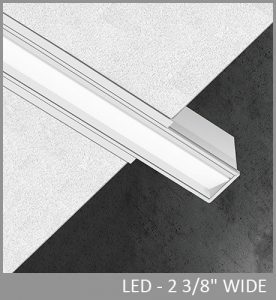 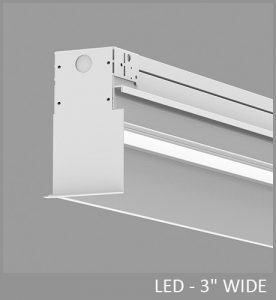 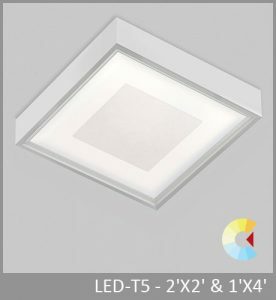 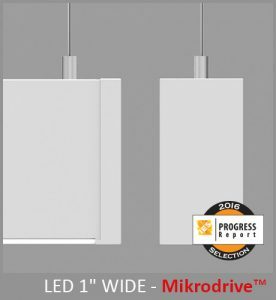 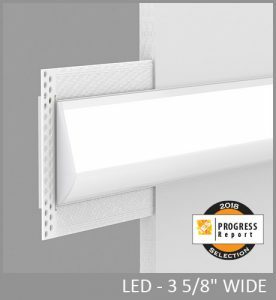 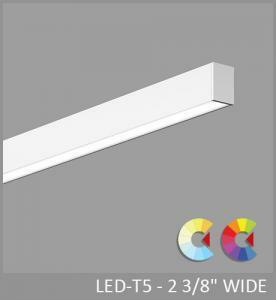 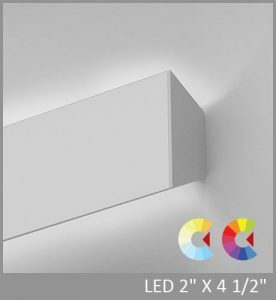 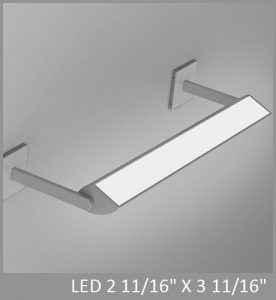 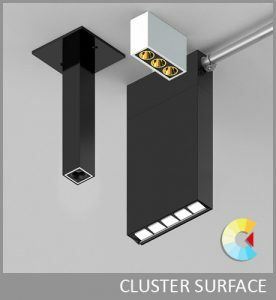 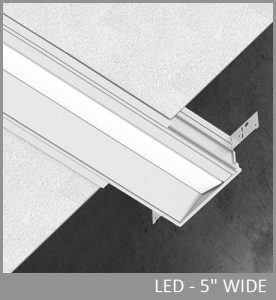 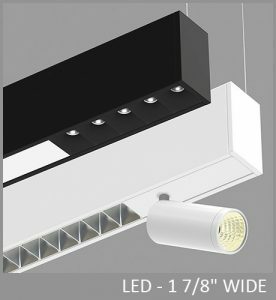 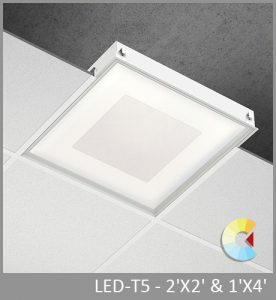 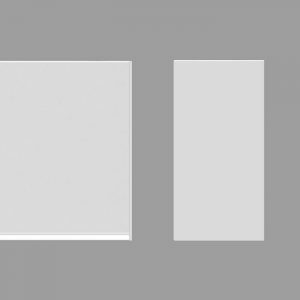 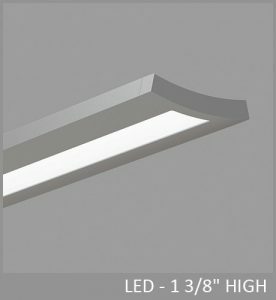 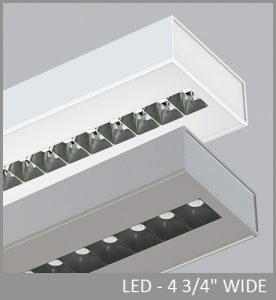 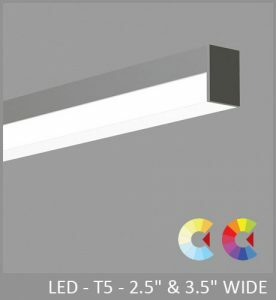 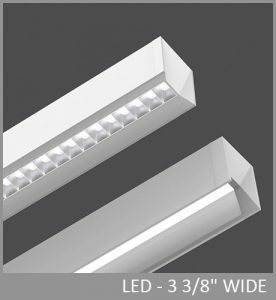 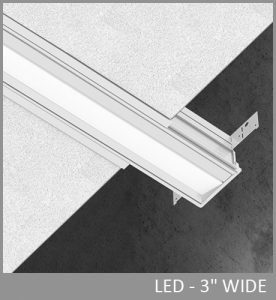 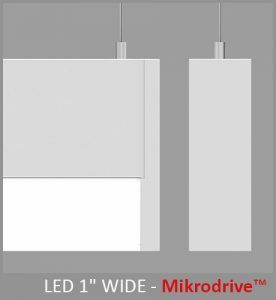 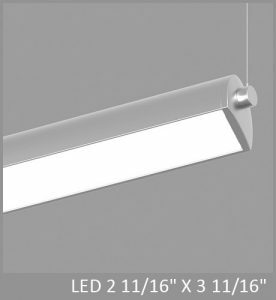 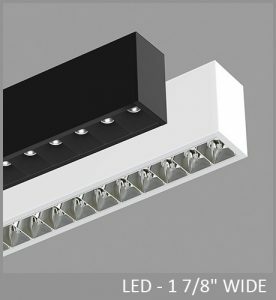 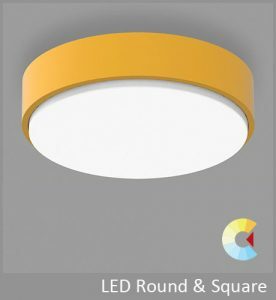 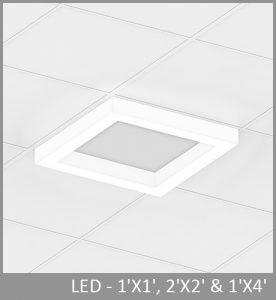 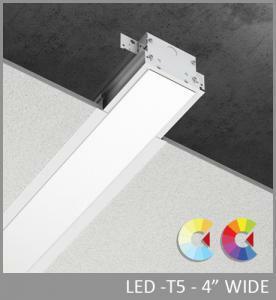 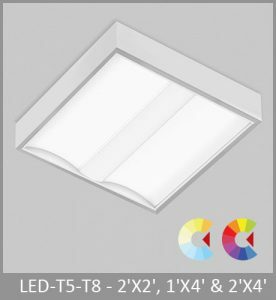 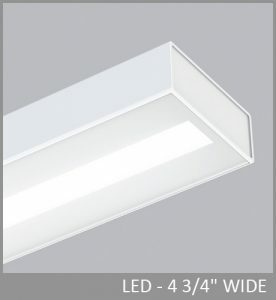 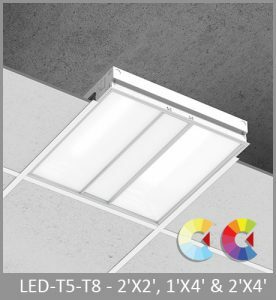 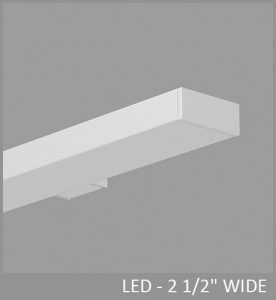 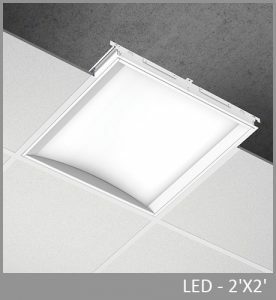 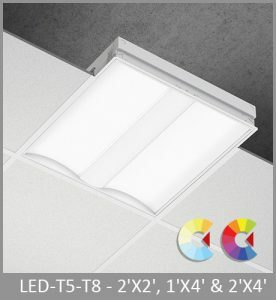 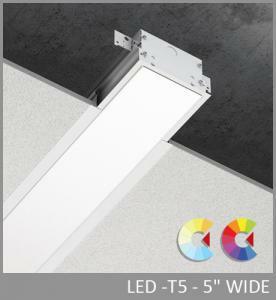 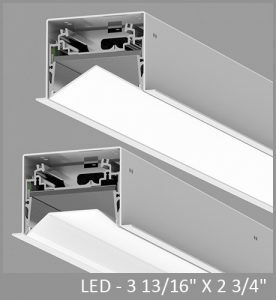 Upper reflectors create options for a higher downlight component Camber with is suitable for wide row spacing with a comfortable ceiling brightness gradient.